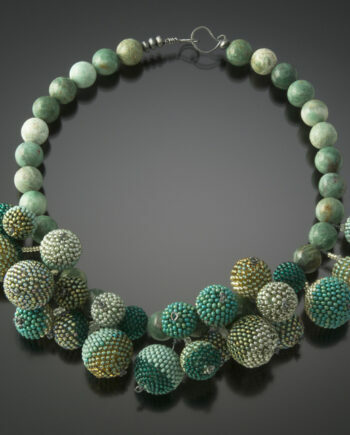 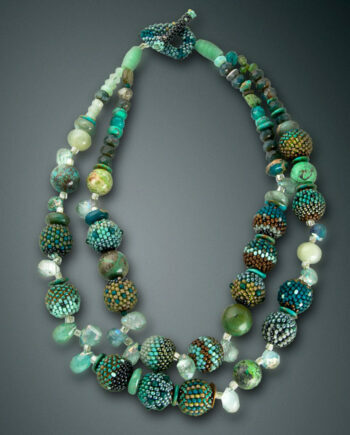 Jewel tones of blues, olives and chartreuse in a fluid contemporary neck piece. 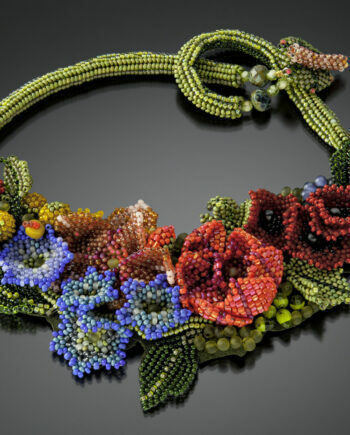 Glass seed beads from Czech Republic and Japan, woven one bead at a time with a needle and fishing line into a hollow tube. 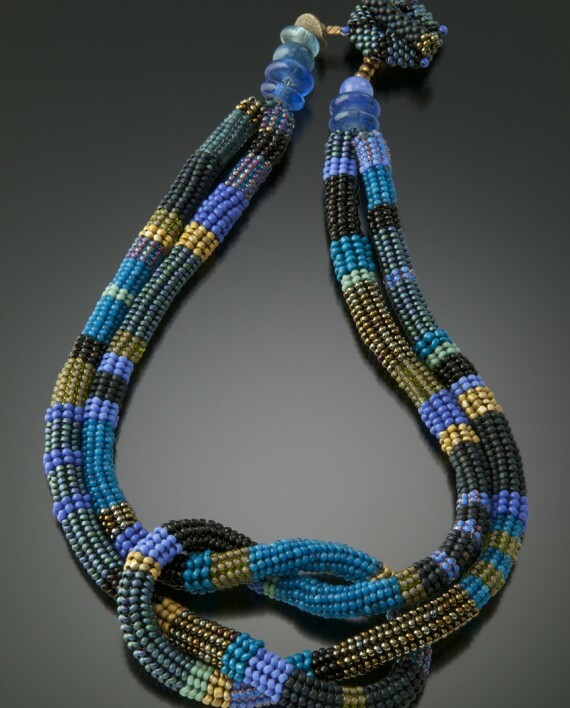 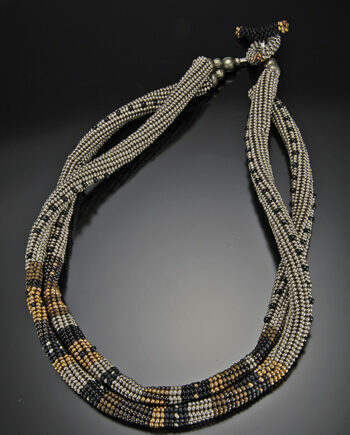 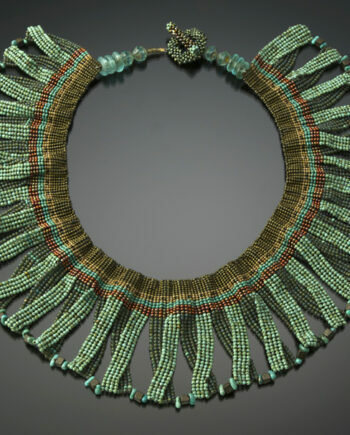 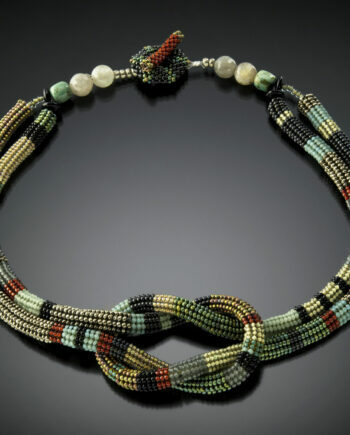 Stuffed with tiny glass beads so that it hangs well on the neck. 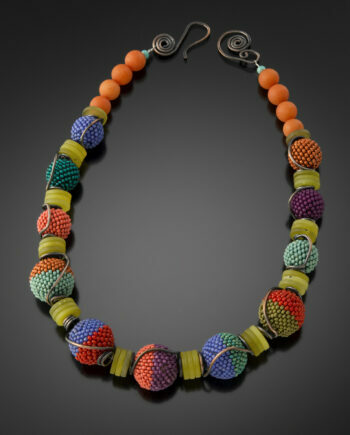 Accented with recycled glass from Africa. 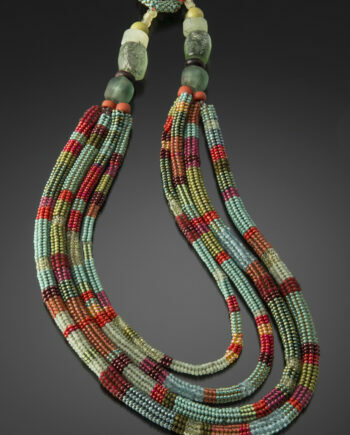 Hand woven toggle. 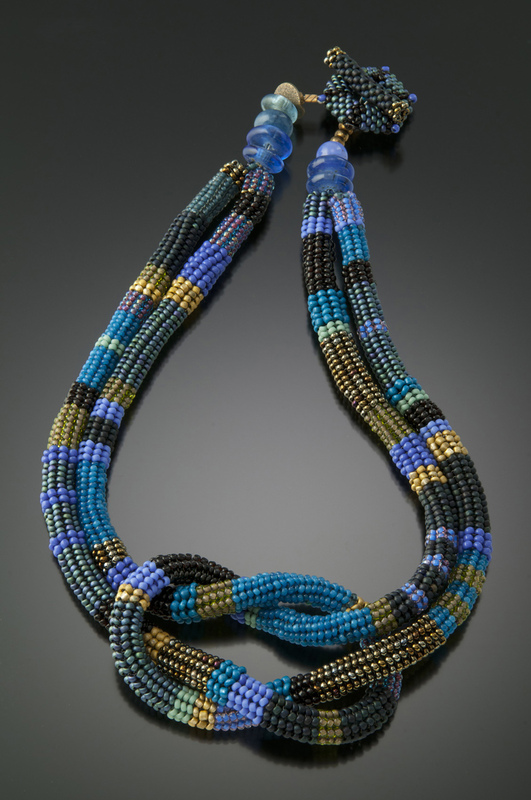 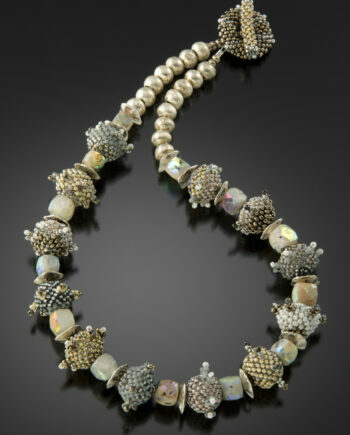 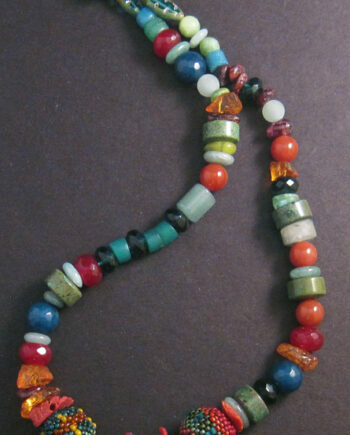 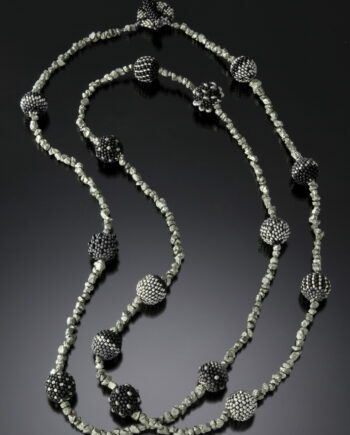 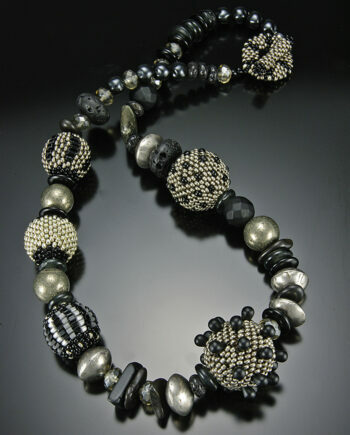 18″around the neck x apx 2″ width.